1. Throw Trash Away: Keep a trash bag in your car or recycle a plastic cereal box or soap dish container to make a trash can just for the car. 2. Whatever goes into the car goes out. We seem to have an overabundance of plastic cups, sweaters, and books. Make sure your kids get their stuff out of the car when they get out. 3. Organize what needs to stay in the car. I have a large utility tote from 31 Gifts that I keep in the back of my car. I keep my jumper cables, emergency kit, and first aid kit in there. It keeps the back of my Jeep clutter free and organized. 4. .Use a bit of baking soda to deodorize your carpets. Sprinkle a bit of baking soda on your carpets and seats to eliminate odors. I try to vacuum at least once a month. Before I vacuum, I use a spoon and a box of baking soda to keep my car from smelling like a garbage bin. 5. Keep a box of baby wipes in your car for cleaning. 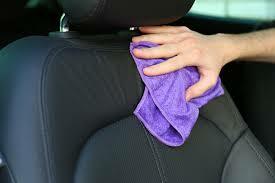 You can wipe down your interior and widows with baby wipes. This is an easy task you can do in very little time, maybe while you’re waiting in the school pick-up line? They also come in handy for spills. At Dorsey Mobile Detailing, we know you take pride in the appearance of your vehicle and that’s why we use only the finest products available to give your vehicle a brilliant shine. We are a completely mobile service. You don’t have to spend any time driving and waiting in line. We do everything by hand, which is the best way for your paint. At the wash down the way they run your car through a machine to wash and dry it as quickly as possible. There is no attention to detail. We work on one vehicle at a time and we take our time. Their goal is quantity, ours is quality. You will see the difference in the details. 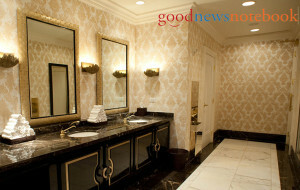 We take pride in our work and guarantee our results. If you aren’t satisfied, we will make it right!